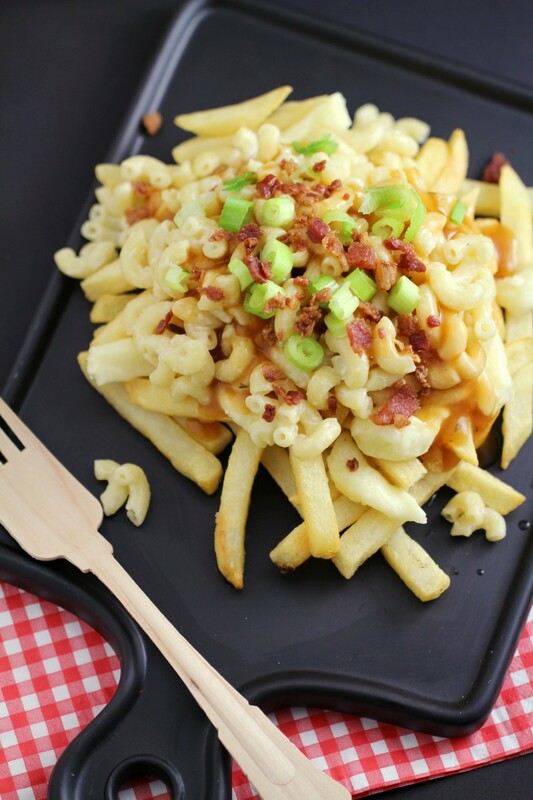 Macaroni & Cheese Poutine - Frugal Mom Eh! 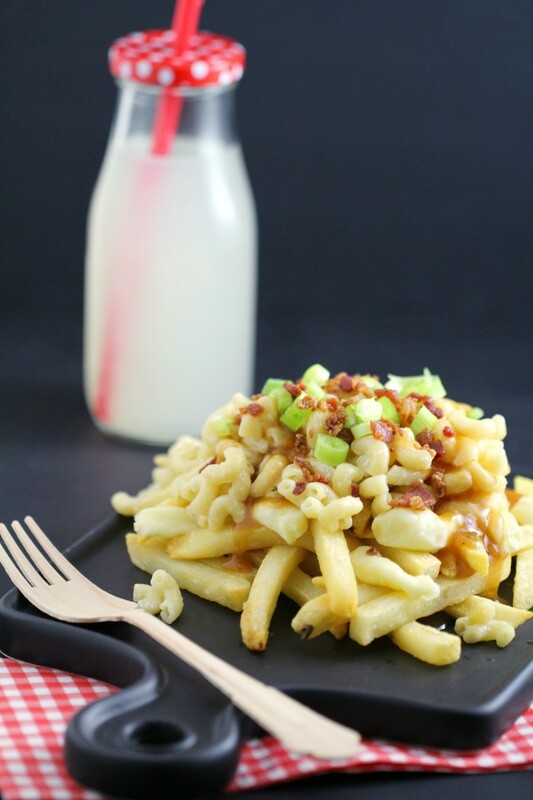 This Macaronia & Chesese Poutine is a comforting dish that starts off with Italpasta white cheddar macaroni & cheese sitting on top a bed of fries that are loaded up with fresh cheese curds, gravy, green onions and finished off with bacon. Can you get any more Canadian? Probably not. Poutine is a classic Canadian dish but that white cheddar mac & cheese? It’s as Canadian as it gets. 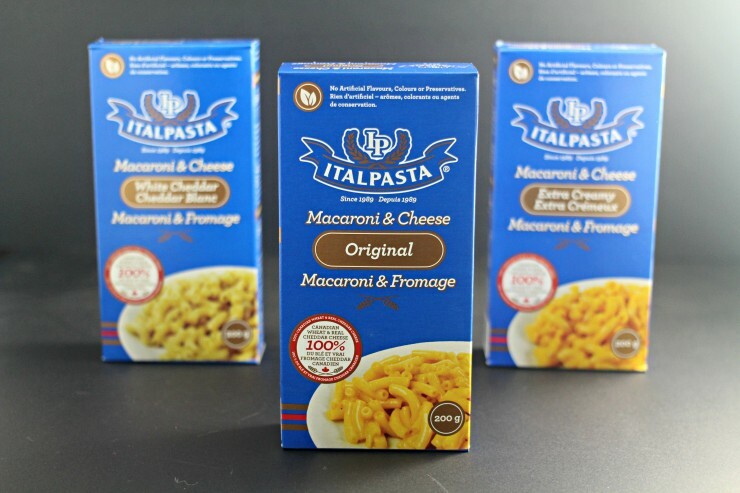 Italpasta’s Mac and Cheese is made from 100% Canadian Wheat, real Canadian cheddar, and no artificial colours, flavours, or preservatives. Since it is made by Canadians with Canadian ingredients, Italpasta’s Mac and Cheese is the most Canadian mac on the market! 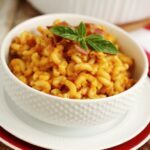 In celebration of Canada 150, Italpasta asked me to create a Canadian inspired mac recipe and share it with you. I couldn’t think of anything more Canadian, comforting or delicious than a merge of two of my favourite dishes – Mac and Cheese and Poutine! The recipe is easy to make and way more delicious than anything has a right to be. You could even swap out the Italpasta White Chedddar Macaroni & Cheese Dinner for the Original Macaroni & Cheese Dinner or the Exra Creamy Macaroni & Cheese Dinner from Italpasta. I chose the White Cheddar because it works so well with the mild flavour of the cheese curds. Share your own twist on Canadian Mac & Cheese for a chance to win a case of 24 boxes of Italpasta Macaroni and Cheese Dinners. Simply share a photo of your creation on social media using #YourCanadianMac and tag Italpasta until August 31, 2017 at 11:59 PM EST. See full contest details, rules and regulations here. For more information and to stay up to date, connect with Italpasta on Facebook, Instagram and Twitter. Prepare fries and macaroni as directed on packages. Meanwile, in a saucepan, heat the butter on medium heat then add flour and whisk for 2-3 minutes. Allow to brown slightly then whisk in the broths into the roux and let simmer for about 20 minutes until reduced by half and thickened. Season with salt and pepper. Keep warm. Assemble the poutine by layering 1/4 of the Cheese curds on top of 1/4 of the fries. Layer 1/4 of the prepared Italpasta White Cheddar Macaroni on top. Ladle as much gravy as desired on top and garnish with bacon and green onions. 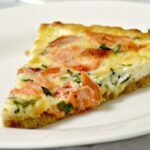 Absolutely love this recipe – I’ve never thought of combining the two but they go perfectly together. Yum! That looks amazing! 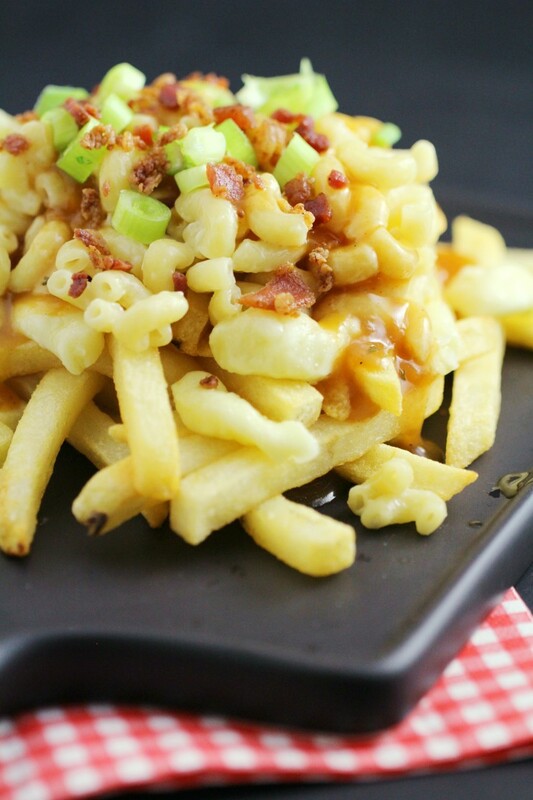 I love this new take on the classic poutine deliciousness! I really have never tried poutine before but it is on my bucket list! I bet it is even better with these toppings. What a great idea! Poutine is my favorite! 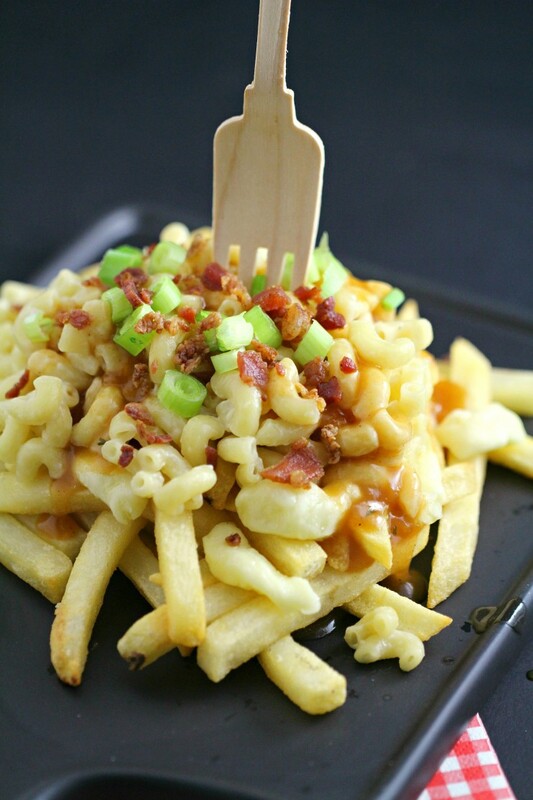 Poutine is super delicious as it is and now… this just brought it to a whole new level! I mean who doesn’t love both poutine and mac and cheese? YOU JUST COMBINED THEM! I am sure my teens would enjoy this! Oh. My. Gosh. This is amazing! I can’t wait to try it. Thank you so much for sharing. I can almost taste it… ahh! Totally pinned this for my Weird Recipes Board! I havne’t tried regular Poutine, but I need to now!! Mac and Cheese makes everything better! 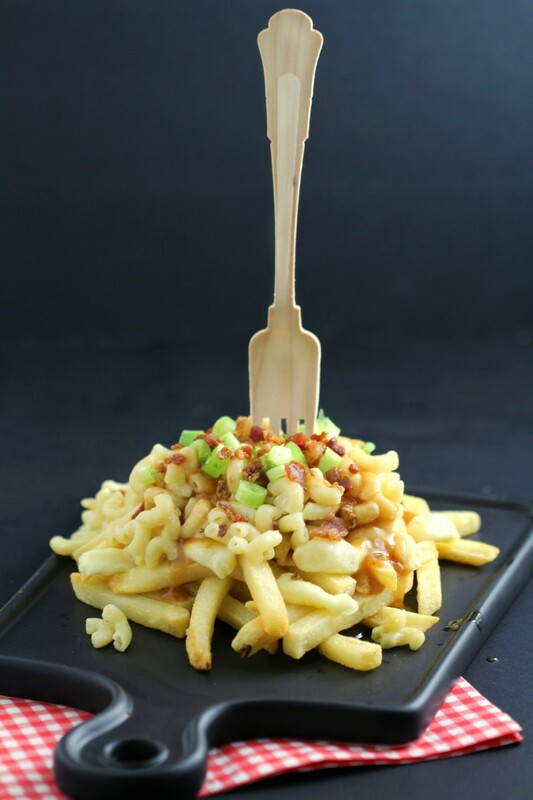 This Macaronia & Chesese Poutine looks amazing. 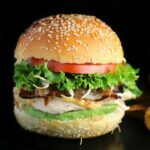 I am so excited to get the ingredients I need to make this for lunch this weekend. I am sure it is going to be a big hit in my house. This looks and sounds amazing! 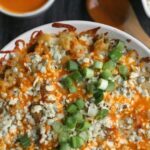 My husband loves poutine and he would love me to make this for him. This looks so good. Two classic dishes become one. I wouldn’t have thought to combine these before now. My daughter loves fries and macaroni. I bet she would be all over this. Looks total delicious,wish i had it right now!